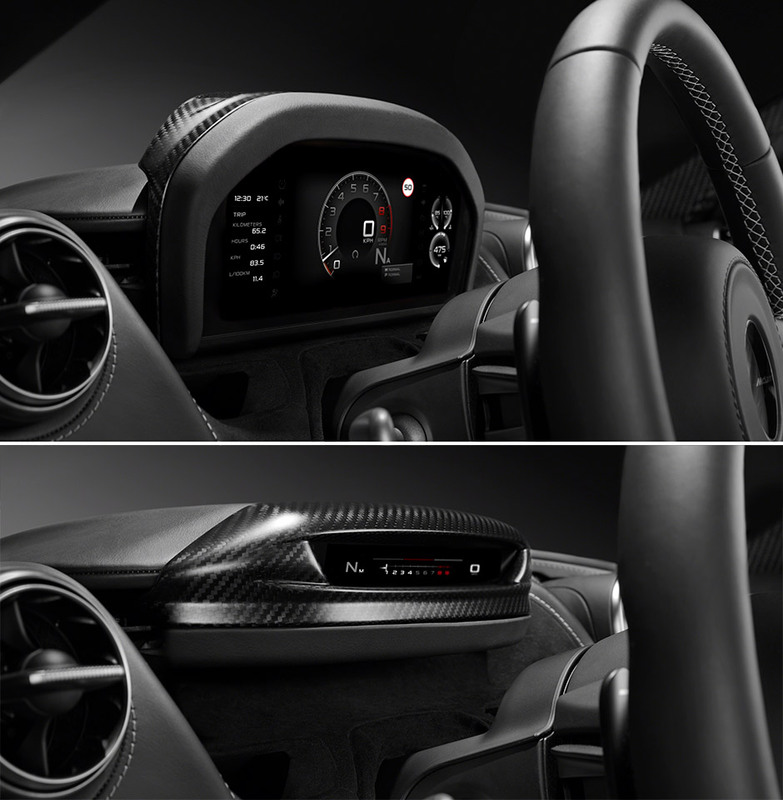 McLaren has done something very cool and different for the dash of their new Super Series car. In normal mode, when the car first starts up the dash is fully opened and you can see all the instruments. When you’re ready to go flat out, you can activate a special minimalist mode that closes down that normal gauge cluster. It folds up behind the steering wheel and leaves in its place a small display strip that shows digital readouts for speed, gear selected, and RPM. You still have all the stuff you want to see on the track or when flying down a backroad.